Yeehaw! It’s Time For A Bike Rodeo! 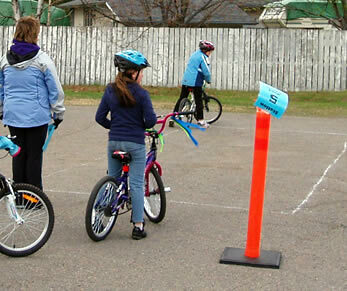 A bike rodeo is an experiential learning activity designed to teach elementary and middle school-aged students the essential skills needed to operate a bicycle safely. 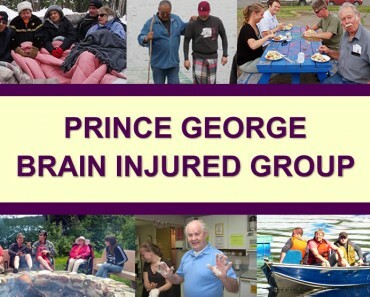 And, Prince George Brain Injured Group puts the ‘fun’ in cycling fundamentals! Our bike rodeos teach youth safe cycling skills, and we have a lot of fun doing it! We are also happy to guide and assist other organizations and institutions to hold their own. 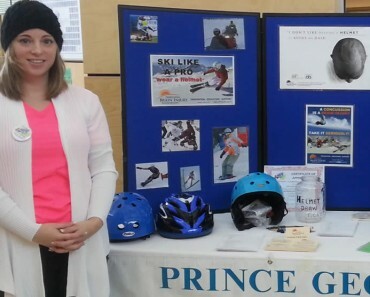 These one to two hour sessions usually begin with a short introduction to brain injury and helmet safety, followed by teaching students how to properly fit and wear their helmet. Students then use their own bicycles to navigate a seven station track, with the goal of students learning and applying the safety skills needed to operate a bicycle, such as; observation, helmet use, hand signals, bike control, road use, and other related skills. Bike Rodeos provide a great activity that youth really enjoy (and benefit from), and are suitable for elementary and middle school classes, as well as community organizations. In order for the Rodeo to run smoothly, a large flat and open area is required. If your available space is restricted, we will do our best to accommodate your venue. The fee for a standard Bike Rodeo is $40.00 per hour (they normally run normally one to two hours, depending on the number of participants). If time is a concern, we can alter program length to better fit your schedule. 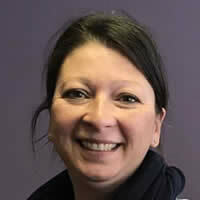 If you would like to book a Bike Rodeo please contact Christine Smith.